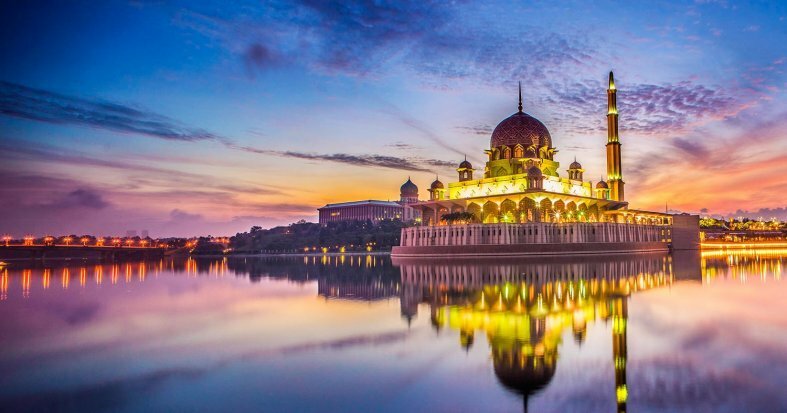 Experience the wonders of Malaysia. From the ultra-modern city of Kuala Lumpur, head into the Taman Negara National Park, the oldest jungle in the world. Soak up the fresh air of the leafy Cameron Highlands before discovering a cocktail of cultures in Penang and relaxing on the tropical shores of Langkawi in a 5* beach-front hotel. International flights: US - Kuala Lumpur - US. 12 Breakfasts 1 lunch & 2 Dinners. *Documentation of the domestic flights will be available in the "My bookings" section in your "Customer Area" 7 days after you have made your booking. Compulsory Malaysia Tourism Tax & State Tax*, drinks, tips and any other services not mentioned in what's included. *Compulsory Malaysia Tourism Tax & State Tax collected and payable directly to hotel upon check-in/check-out. Arrive at US departure airport, ready to board your flight to Kuala Lumpur. Night on board. Continue your journey to Kuala Lumpur. 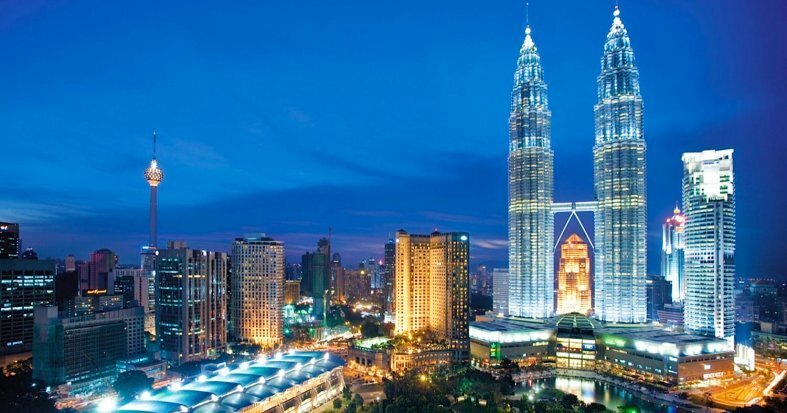 Arrive in Kuala Lumpur and transfer to your hotel. Kuala Lumpur is home to many iconic skyscrapers, such as the Petronas Towers, amazing street food and endless charm. Get out and start discovering this modern, yet traditional, city. Overnight in Kuala Lumpur. Breakfast at the hotel. 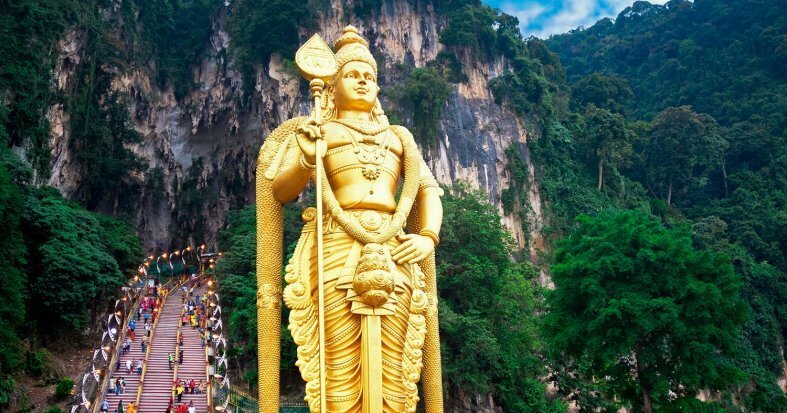 Enjoy a half day English speaking tour of Kuala Lumpur. Experience a photo stop at the most emblematic symbols of the city such as the Petronas Towers which were the tallest buildings in the world between 1998 and 2004, the Kings Palace, the impressive National Mosque and the Sultan Abdul Samad Building. We suggest an optional visit to the National Museum which displays the history and culture of Malaysia. Enjoy a lively evening stroll through Chinatown. Overnight stay. Breakfast at the hotel. Spend the day at your leisure, exploring the city. 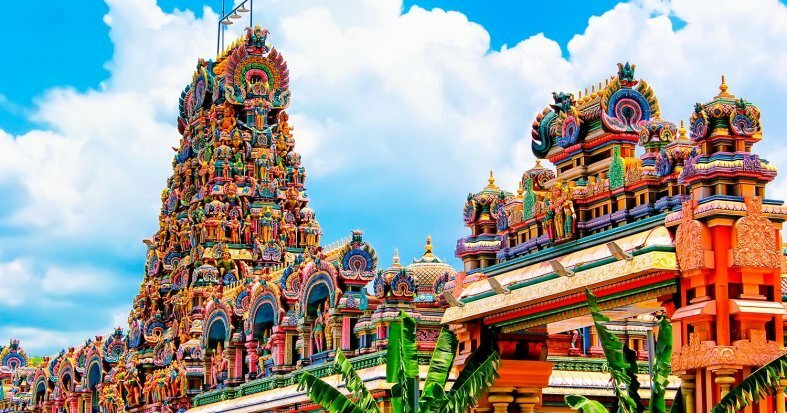 Alternatively, we recommend an optional excursion to Malacca. * Overnight in Kuala Lumpur. Breakfast at the hotel. Set off in the morning for a drive to the Kuala Tembeling Jetty, where you will register for your boat journey to Taman Negara National Park. 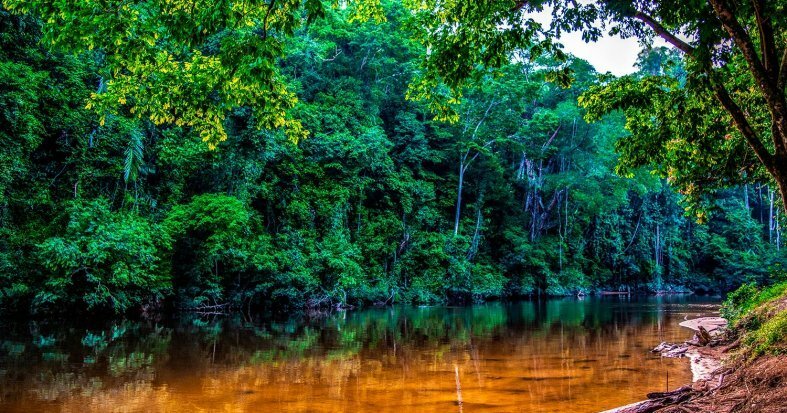 Enjoy your 3-hour boat journey, passing by local villages and lush tropical rainforest as you head deeper into the National Park. Look out for kingfishers, hornbills, monkeys, monitor lizards and water buffaloes along the river. Upon arrival at the park, check-in to the hotel and soak up the jungle atmosphere surrounding the resort. Enjoy a nightfall jungle walk looking out for nocturnal plants and insects amidst the chorus of the rainforest. Dinner and overnight in Taman Negara. Breakfast at the hotel. Today, enjoy a 1 ½ hour trek up Teresek Hill and be rewarded with a magnificent view of the tropical rainforest at the top. On a clear day, you can see Mount Tahan, the highest mountain in Peninsular Malaysia. 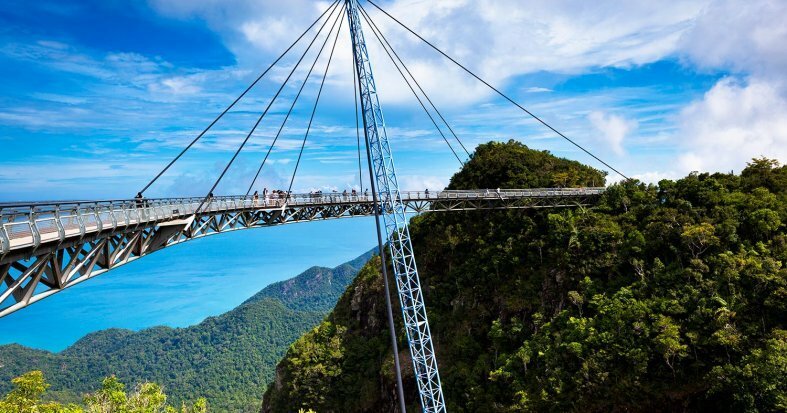 Continue your adventure with a canopy walk built 40 meters above the ground and 530 meters in length. Experience the rainforest from a different perspective, as you walk above the trees. (Canopy walk closed on Thursday). Lunch. In the afternoon, take a boat ride to the Lata Berkoh waterfalls enjoying the splendid pristine jungle scenery along the way. Swim and relax amidst the tranquil atmosphere and abundant wildlife. Dinner and overnight in Taman Negara. Breakfast at the hotel. Take a short boat ride across the river where you will meet your driver at Kuala Tahan and depart Taman Negara to the lush Cameron Highlands, one of the most popular highland destinations in Malaysia. The overland journey takes approximately 4-5 hours passing by small towns and scenic views of the rainforests. Arrive, check-in to the hotel and spend the rest of the day relaxing in the cool and refreshing environment. Overnight in the Cameron Highlands. Breakfast at the hotel. 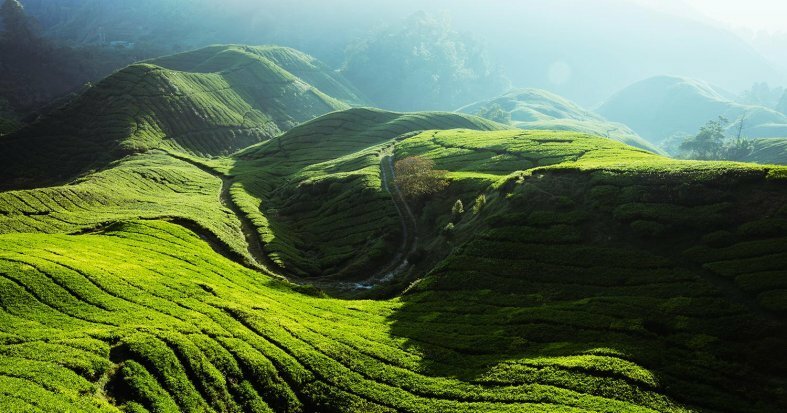 This morning, admire the sights of the Cameron Highlands. Visit the biggest tea grower plantation, the Boh Tea Plantation, to watch the processing of black tea and later to sample various kind of tea in the tea house. Later, visit a local fruit and vegetable market, a butterfly garden, a Buddhist Temple, and a cactus and flower garden before exploring a local strawberry farm for a great overview of the abundance of produce in this region. Afterwards, set off for Penang and pass across one of the longest bridges of the world. 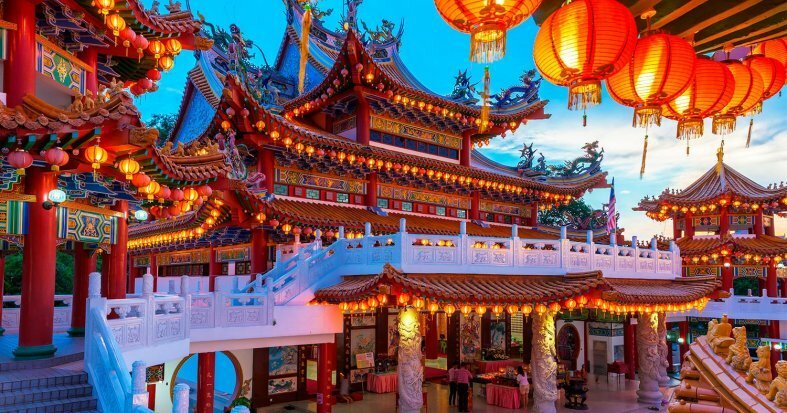 Arrive, check-in to the hotel and overnight stay in Penang. Breakfast at the hotel. 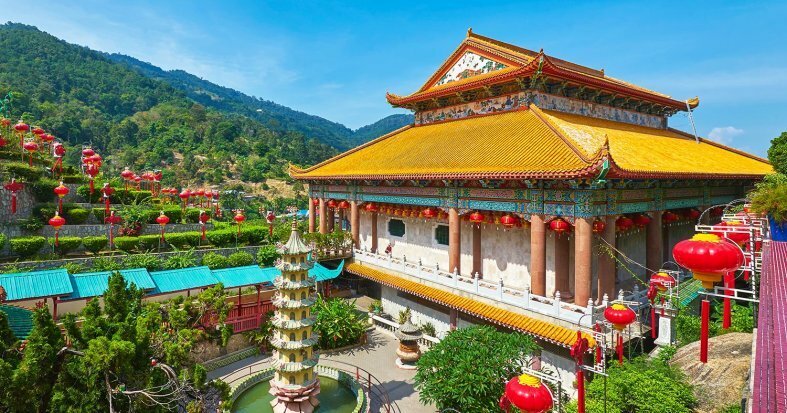 Spend the day at your leisure, relaxing or exploring the plentiful sights and sounds of Penang. Overnight stay in Penang. Breakfast at the hotel. Transfer to Penang Airport for a flight to Langkawi. Arrive, transfer to the 5* beach-front hotel and time at your leisure. 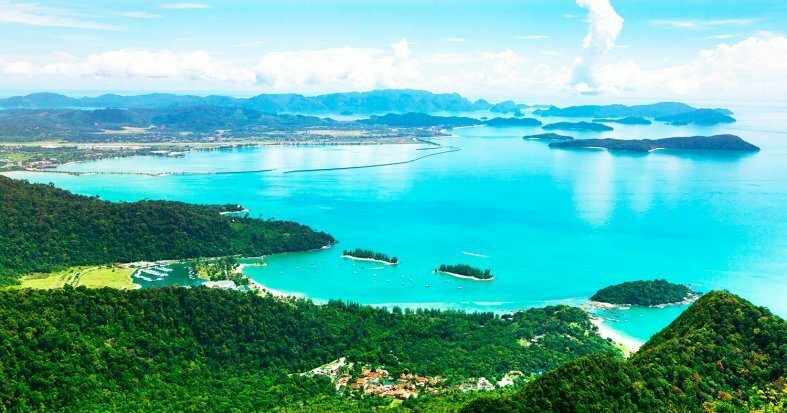 Langkawi is an archipelago in Malaysia located on the Andaman Sea that has over 104 islands. Declared World Geopark by UNESCO, its three main conservation areas are Machincang Cambrian Geoparks, Kilim Karst and Dayang Bunting Marble, which offer an excellent opportunity to discover the idyllic beaches and nature of this stunning location. Overnight stay in Langkawi. Breakfast at the hotel. Free day. The relaxed pace of life in Langkawi makes it ideal to sunbathe and swim in the resort's pool or on the beach. For the more adventurous, we recommend visiting other islands, ride the Mat Chinchang mountain cable car to enjoy the fabulous views or walk along the Sky Bridge to the viewpoint from where you can see Thailand on a clear day. Overnight stay in Langkawi. Breakfast at the hotel. 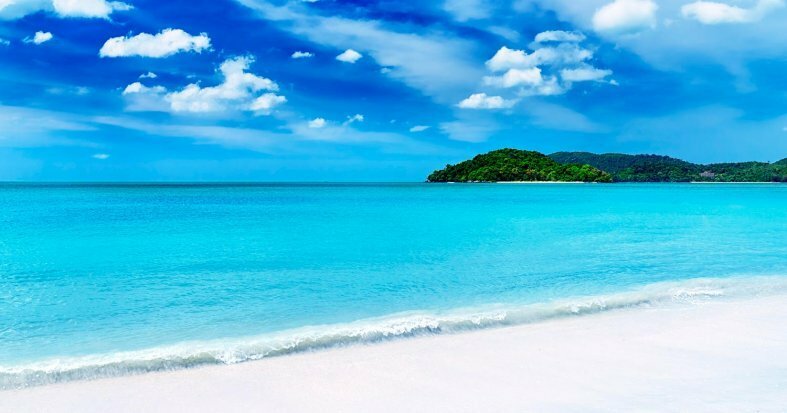 Free day to enjoy and relax on the idyllic white sand beaches of the island or practice any of the many water sports on offer. Overnight stay. Breakfast at the hotel. At the indicated time, transfer to Langkawi Airport for a flight to Kuala Lumpur. Upon arrival, transfer to your hotel. Check-in and the rest of the day is at your leisure. Overnight stay in Kuala Lumpur. Breakfast at the hotel. At the indicated time, transfer to the airport for a flight back to the US. * Arrive in the US and end your trip. *If your return flight leaves in the early hours of this morning, you will spend your final night travelling and not in the hotel.